The significance of the Day of Pentecost described in Chapter two of the book of Acts is, in my humble opinion, minimized by the denominational emphasis of speaking in tongues. To connect the baptism of the Holy Spirit with just speaking in tongues is a minuscule way of viewing what took place on this glorious day. Not that I claim to have the full revelation, but allow me to share what I was able to see a few days ago as I engaged in my own personal devotional time with the Lord. “What does this mean?” somebody asks from the crowd! The Tower of Babel represents and will always represent an incomplete project; a symbol of the empty results of the arrogance of men. It is scary to see the symbol of this tower on our American dollar symbolizing the goal of its completion; however, why should we be surprised, we know who is the god of this world! Pentecost, on the other hand, represents a total reliance on God and His power. With the representation of every known language at the time, as they spoke in tongues, they were able to supernaturally understand each other! 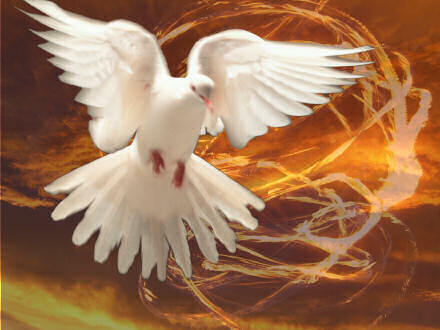 Pentecost is a prophetic announcement of all of the nations coming together as one nation under the flag of God’s Word. The Bible actually calls us citizens from heaven (Phil. 3:20): we now belong to the culture of the Bible. When we call on Jesus to come into our hearts in true repentance of our sins we automatically receive our welcome to the oneness of the language of love that was released on Pentecost. By the Spirit I can encourage you; by the Spirit I can forgive you; by the Spirit I have no limits and by the same Spirit I can proclaim with confidence, no matter the hell that my eyes see, that my side wins. Nice text , thank you.